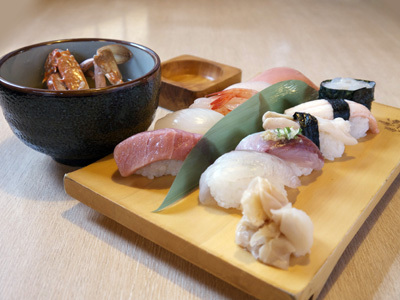 Enjoy fresh toppings sourced directly from the Himi and Shinminato fishing ports. The Gotta Roll (Toyama Bay Roll) uses local seasonal fish and is very popular. This restaurant regularly carries over 50 to 60 different kinds of food and drink. Wine-loving wives will need a reservation for wine that pairs well with the sushi they choose.